Steve Billirakis Wins Event #3: €5,300 Pot-Limit Omaha (€238,140)! Everyone who knew anything about poker, knew that Steve Billirakis was one of the favourites to win this event when it started today. In 2007, he became the youngest person to ever win a WSOP bracelet and since then the young man has won over $2 million, throwing cards around tables, all around the world. Billirakis never, ever seemed phased or in danger during the entire final table. He started the day in 2nd place behind Sam Trickett and he just bided his time until eventually taking control of the table during the latter stages of the day. Billirakis eliminated Jerome Bradpiece and Ramzi Jelassi before finally getting heads up with Michele Di Lauro. 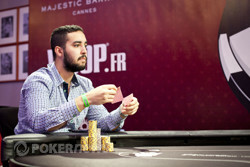 The heads up action didn't last long, with Billirakis winning every pot of note, and he was crowned the WSOP Event #3 €5,300 PLO Champion after calling the all-in of Di Lauro on a flop of whilst holding . 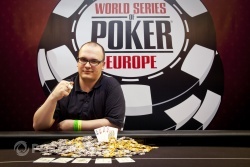 His hand held up handing him his 2nd bracelet, €238,140 and a deserving round of applause from the audience and media. 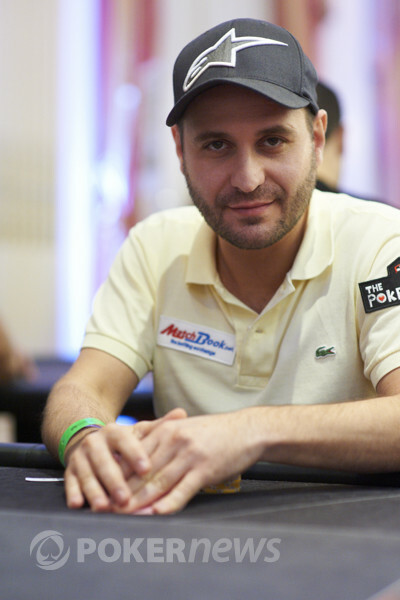 Michele Di Lauro raises to 44,000 on the button and Steve Billirakis three-bets to 130,000. The Italian doesn't think about his decision for too long before making the call. Everyone in the room could sense that this was going to be the pivotal moment in this fantastic tournament and we were not disappointed. Billirakis bet 70,000 and Di Lauro took a few moments to compose himself before moving all in for the remainder of his stack. Billirakis calmly called and you knew he was ahead by the way he turned his cards over. Just a few cards for Billirakis to dodge and he would win his second WSOP bracelet. Billirakis got up off his seat and shook the hand of Di Lauro and the photographic mayhem ensued. Million Chip Pot For Billirakis! In the first hand of heads-up play we saw one of the biggest pots of the tournament. Di Lauro raised to 46,000 to start things off and Billirakis made the call. The flop came down and both players checked. The turn was the and Billirakis lead out for 65,000, Di Michele made the call. On the river the appeared and Billirakis grabbed chips again. The American pro bet out 175,000 putting a lot of pressure on his opponent. Di Lauro wasn't scared and pushed out two huge stacks of black 5,000 chips making it 400,000. Billirakis called instantly. Di Michele had turned a full house but on the river Billirakis managed to hit a bigger boat. 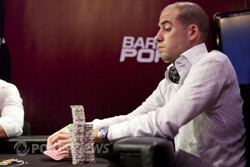 Billirakis takes a big chip lead while Di Lauro looks very shaking up by this loss. Ramzi Jelassi raised to 42,000 on the button and Steve Billirakis three-bet to 140,000 from the small blind. Michele Di Lauro folded in the big blind and Jelassi made the cold call. Billirakis bet 65,000, Jelassi moved all-in for 220,000 and Billirakis called. Billirakis was looking to avoid some diamonds. His tournament life to be precise, we don't want to make to too dramatic. Billirakis raised from the button the 35,000 getting a fold from Di Michele. Jelassi decided to raise pot to 113,000 and after some thinking Billirakis called. The flop was and after a couple of seconds Jelassi announced, "Pot". Billirakis double checked his cards and folded saying, "Scary". "That was even scarier for me," Jelassi laughed as he raked in the pot. Jelassi regains some ground and is back up to half a million.